Who are the Team Leaders in 2019? Honda and Christina met when they were studying in Edinburgh and have been married since 2012. Honda is the minister of Rosskeen FC and Christina is a community nurse in the local area. 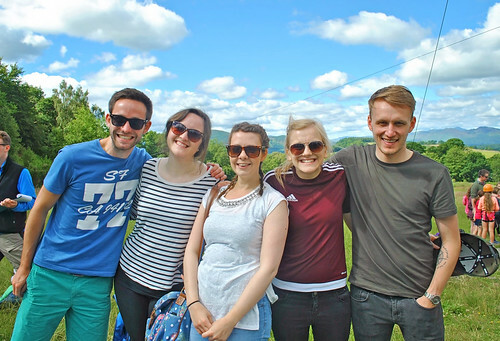 Together, they led the Oswestry Senior Camp for six years but had a burden for discipleship among young adults in particular and so B.A.S.E. Camp was born. Now, in their third year of B.A.S.E. Camp, they believe passionately in the power of the Gospel to change lives and hope that the Lord might be pleased to use camp, even in a small way, to help people come to know Jesus and/or grow in their relationship with Him. In their spare time, they love to watch movies, read and spend time with their friends. Honda, apparently, has some awesome jokes! Stewart is a sports loving islander who absolutely loves camp! He is married to Sarah, who works for the Free Church, and they live in Leith where they serve and worship at Grace Church Leith. 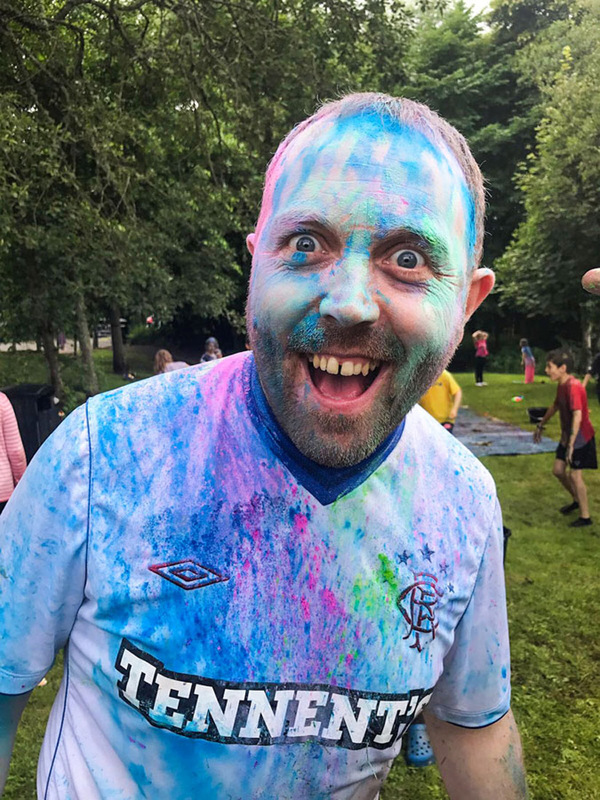 He was brought up on the beautiful (and windy) island of North Uist and studied Sport and Physical Activity at Strathclyde University before doing a stint as a ministry apprentice at Rosskeen FC and then as a ministry assistant at Dowanvale FC. He is currently training to be a primary teacher at Edinburgh uni, and all being well by the time camp comes around, he will have qualified! 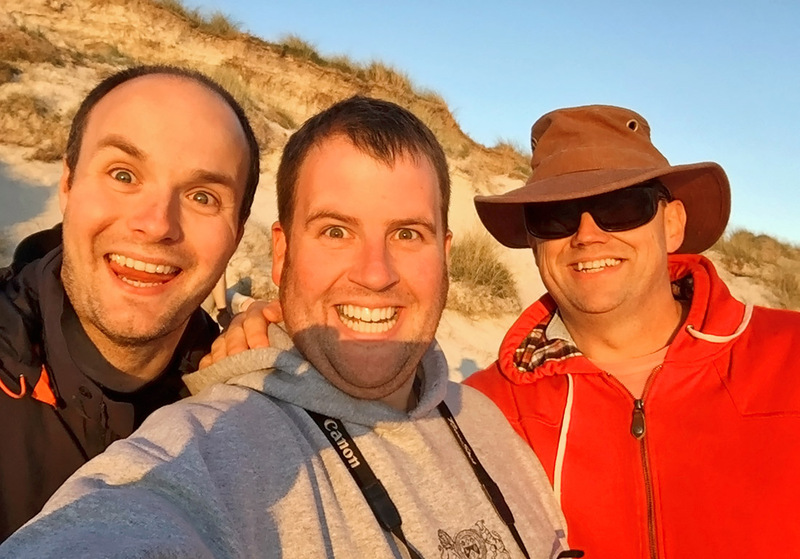 Aside from running up the sand dunes in Uist, Stewart's first love was football and he is delighted to be spending a week in the summer with children who have the same passion for the wonderful game. His faith was heavily influenced at football camps and it was in fact at camp in 2006 where he gave his life to Jesus. He has been a leader at junior football camp for 8 years and has enjoyed this just as much as being a camper. He cannot wait to see campers showcase their footballing skills but more importantly, he is excited to be part of a team that shares the incredible story of Jesus and how God's love for His children is "unconditional and unfailing." Born and brought up in Glasgow, Rod spread his wings and migrated to Kirkintilloch (around 10 miles from Glasgow) via Paisley around 20 years ago. He is married to Ruth, and has two not-so-young-anymore children. Rod’s background is in business planning and strategy (exciting stuff!) and he spent around 11 years running the central administration of the Free Church. He now enjoys being his own boss as a freelance business consultant which has lots of amazing perks like agreeing to give himself a week’s holiday to run the Senior football camp. Rod – loves - football (although, as a Scotland and St Mirren fan, football does not appear to love Rod). However, Rod also loves the opportunity that camp presents to share, in a relaxed way, what the Bible teaches about Jesus and what it really means to be a Christian. 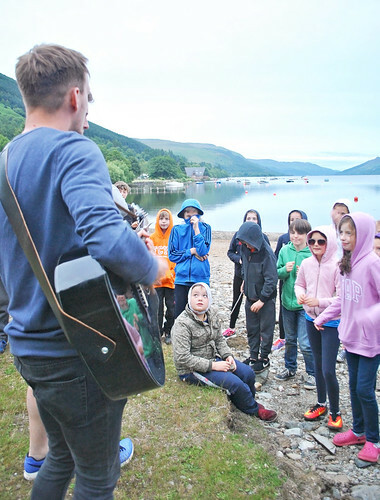 He also recognises how important it is for campers who don’t have many Christian friends to be encouraged by spending a week with other Christians. He prays that 2019 will be another fantastic year for Free Church Youth Camps! Andy Murray (no not that one) is originally from Oban, but now lives in Livingston with his wife, Kirsteen and his five (yes five) sons ranging in age from 17 to three. With a background in social work Andy felt called to Christian work and joined Bethany Christian Trust in 2006. 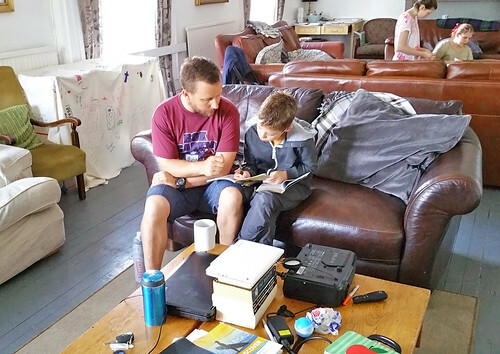 After various positions within Bethany, Andy joined a new Christian charity in March 2016, Safe Families for Children Scotland, which works with families in crisis. Andy was very involved in football camps in his earlier years, but over the last few years he has gone back to his first love – shinty. Andy was involved in setting up the Edinburgh Shinty Club in 2010, and has trained as a coach at Foundation and Level 1 with the Camanachd Association. As well as being a Deacon in Livingston Free Church, Andy is actively involved in Prison Ministry, both as a Trustee with Prison Fellowship and leading Bibles studies in his local prison. When not working or playing shinty Andy, writes a blog called ‘Ragged Theology’ on the Free Church minister and social reformer, Dr Thomas Guthrie. Andy spends as much time as he can in the Highlands following his shinty team, Oban Camanachd or visiting relatives. Susan MacLean lives in Aultbea with her husband Murdo. She has two grown-up children and a small granddaughter. 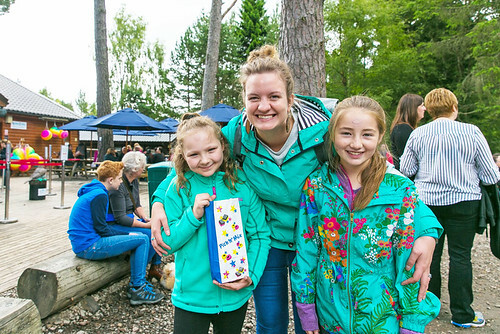 She has worked for many years in youth work throughout Skye and Wester Ross and now is now the Family Worker in Poolewe and Aultbea Free Church. 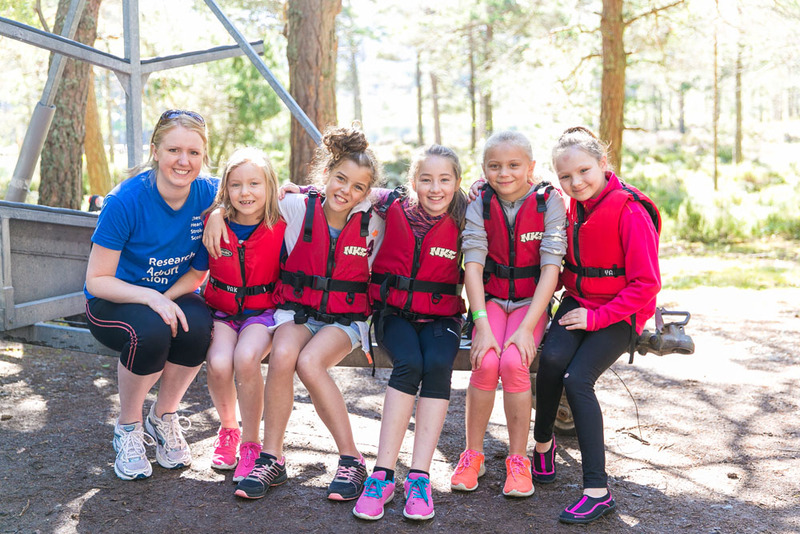 Youth camps are a highlight of Susan's year -she takes children away for a weekend in May, a week in October and also for the summer camps. She has seen many girls coming to summer camps over the years - some years she has run two summer camps! She even cooked at the Senior Boys Football camp one year! She loves meeting new campers, as well as reuniting with previous campers, but Susan's favourite part of camp is sharing the Gospel with the girls and hearing their singing -it is so special! Mairi Macleod is from the Isle of Lewis, but is currently living on the Isle of Skye. She is in her final year of Gaelic primary teacher training at Sabhal Mòr Ostaig. Mairi enjoys summers at home in Lewis, walking along the beach, and when someone makes her wheat and dairy free baking. She has a fear of clowns, spiders and feet. 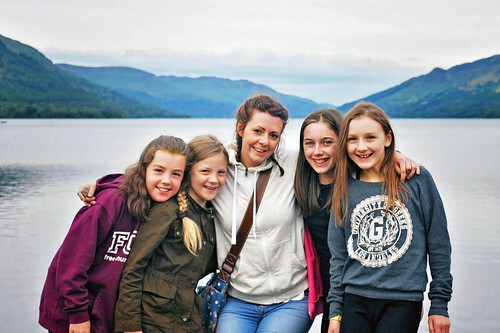 Growing up, Mairi attended Free Church Youth Camps and became a Christian at the age of 16. She has been a leader at Oswestry Junior 2 for the last six years and has loved them all apart from the mammoth 18-hour journey home last year! Mairi loves everything about camp, especially the singing and seeing young lives changed by coming to Christ. She is excited to see what God is going to do at Kincraig Kids this year. Hannah grew up in Northern Ireland −and still has the accent to prove it! She now lives on the Black Isle, just north of Inverness. As a minister’s daughter, she was surrounded by the Gospel message from birth. She responded to it aged four, by placing her trust in the Lord, and is thankful for His faithfulness in her life. 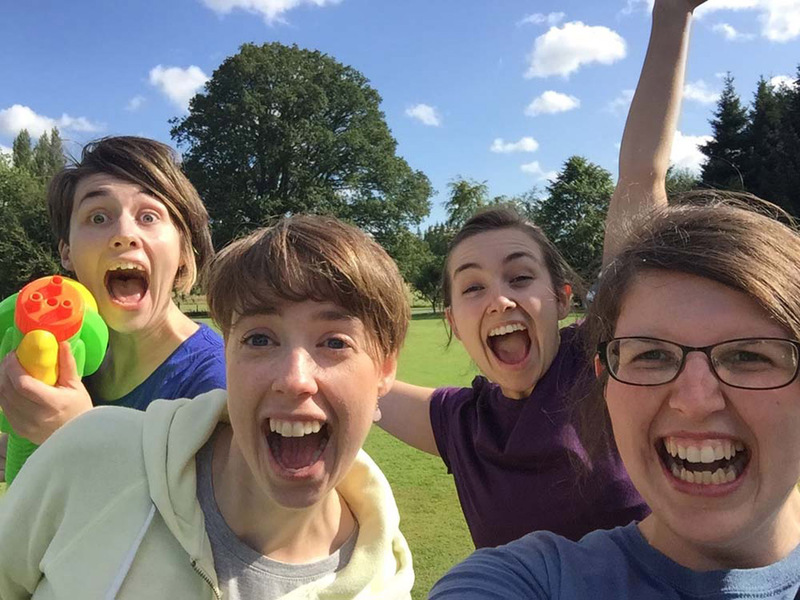 Having grown up in a small, rural congregation, Hannah has experienced the blessing and encouragement (and fun!) of joining others of the same age at camps. She was a leader at Kincraig Girls last year and loved the conversations, laughter and opportunities she shared with the campers. Hannah is a language geek and has lived in Peru and France whilst working for Christian student movements. She loves being outdoors and last summer enjoyed wild camping in hammocks and hiking the Great Glen Way (with a big white horse!). In her teens, Hannah wanted to be a textile designer and in her twenties, she wanted to be an academic. She now thinks she has the best of both worlds and loves being a primary teacher! Howard Stone is minister of the most northerly Free Church in Scotland, in the village of Castletown. He’s married to Christine and they have six grown-up children, all of whom have been leaders with him at camp (or assistant cook, in Christine’s case). Howard went to only one camp as a camper, but has lost count of the number of camps he’s been involved in as a leader. Camp is such good fun and such a wonderful opportunity to share the Good News of God’s love for us that he keeps coming back. Howard enjoys sports, such as football and squash and one daughter and one son share his enjoyment of motorcycling. Howard started his working life as a biochemist but, as a result of being asked to be in charge of a camp, God made it plain that He wanted Howard to be a minister. Camps have been an important part of Howard’s life over the years. He’s seen God at work through them, changing young people’s lives, and he loves to be a part of that work. At camp Miriam is known as Minnie. Although she admits most people still think she’s not long left school, she is married to Kenny, and has a wee boy, Ruairidh, who has accompanied his mum and dad to camp since he was three months old. As most will guess from the accent, Minnie is originally from England, but she now lives in Inverness, where she works as a children’s nurse at the hospital. Minnie discovered how brilliant Free Church Youth Camps are when she first went as a camper in 2006. She has been a leader at Oswestry Junior for a number of years now, and loves the fact that every year brings something fresh and different. She enjoys getting to know all the young people and sharing their thoughts on who Jesus is and what it means to be a Christian today. Andrew Martin was born in Greenock. After collecting two university degrees in Aberdeen, he now lives in Drumnadrochit with his wife, Susanna, and sons, James and Daniel. Andrew is a nurse and currently works in A&E in Inverness. He is passionate about politics, books and music; his punk rock band once played a headline gig in Stornoway to an audience of five. He is terrified of moths and his favourite ice cream flavour is cherry. 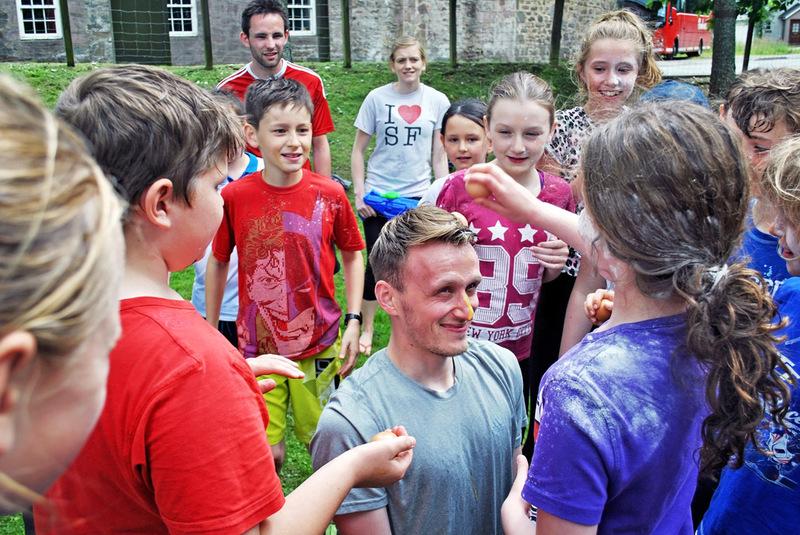 Andrew has been involved in leading camps since 2000, and is deeply committed to the work of Free Church Youth Camps. 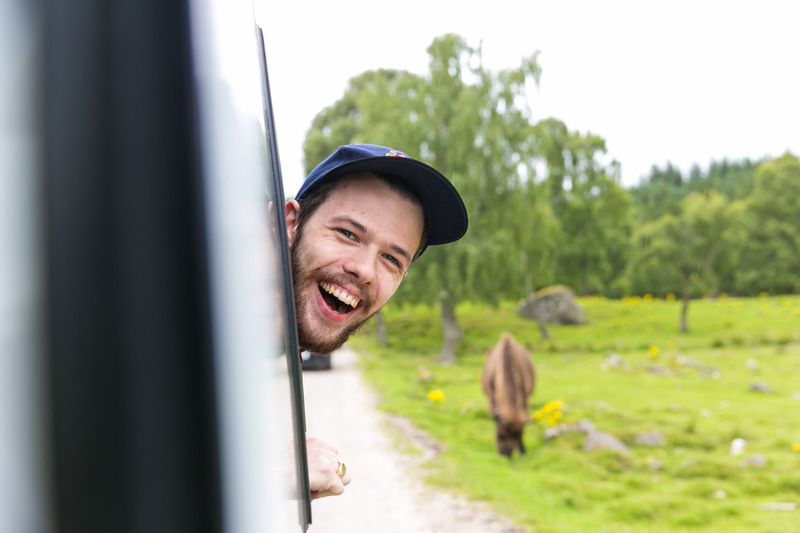 He and his team aim to provide a week where everyone feels included, everyone has vast amounts of fun, and everyone has the chance to hear the Gospel in a way they can understand. 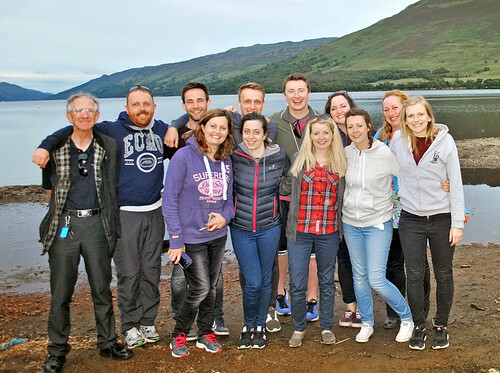 Laura MacGillivray returned to her home town of Fort William, where she met her husband, Andrew, after studying nursing in Aberdeen and Edinburgh. She is now an Emergency Nurse Practitioner in A&E in Fort William and an assessor for the UK Rescue Organisation. Laura is on the musical team at her home church in Kilmallie, and helps run a café there, too. She loves baking, anything competitive, and all things glittery. 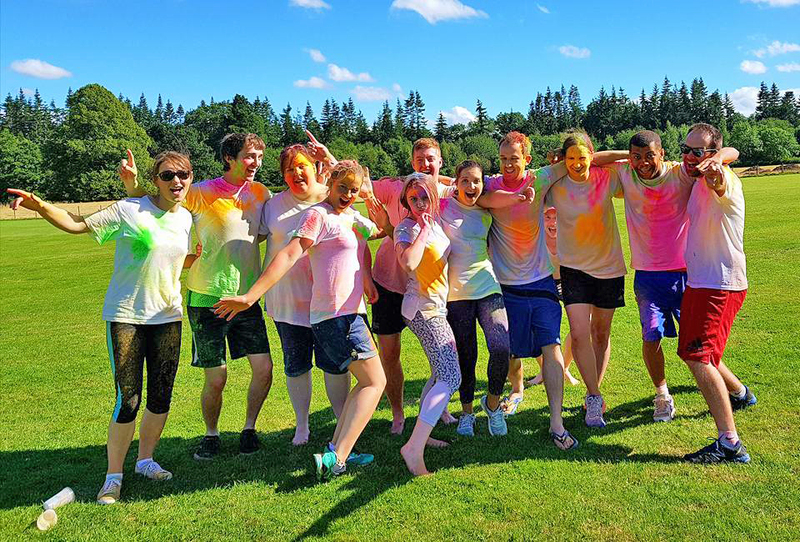 Laura has been involved in over 30 camps − originally as a camper, then as a team member, and for the last few years, as team leader. She loves her team; they have all been blessed with such a variety of skills and strengths, so that, together, they provide a full-on week of fun, focussed around the reason they are all there … Jesus! Davi and Emma have been part of the Oswestry Senior team for the last two years and are excited to return this year as main leaders! They were married in December after spending two years training together in ministry work at Chalmers Church in Edinburgh. Both are passionate about seeing people get to know Jesus better through his Word and have loved the opportunity that camps give to do this. Emma found camps to be instrumental in growing her faith in Jesus in her teenage years - she hasn't missed a year of camp since 2004, leading junior girls camps and mixed senior camps when she was too old to be a camper! Davi discovered camps later in life - he loves teaching the Bible and discipling the teens that come to camp. Between them they have spent 18 glorious weeks at the Quinta, home of Oswestry Senior. Davi is from Brazil via Dundee, leaving sunshine and samba behind aged 9. He is currently the Student Worker at Chalmers Church and studying at ETS. He likes football (naturally), good meat, being cosy and riding his bike. 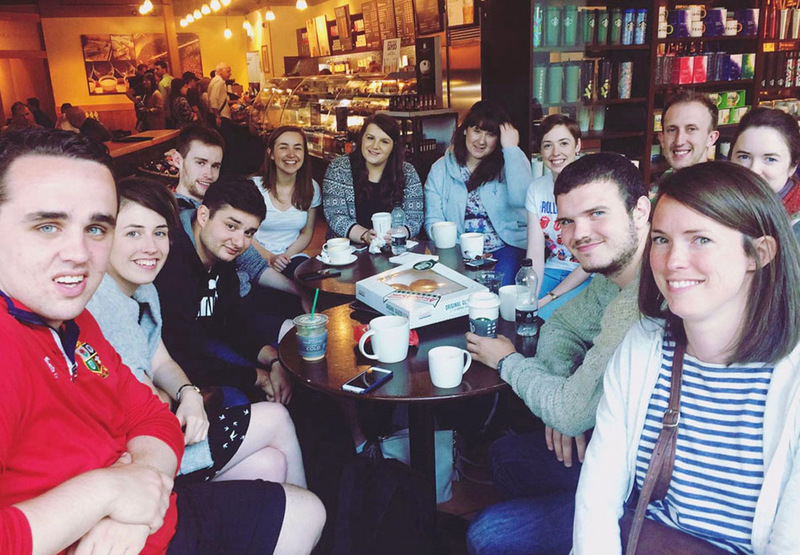 Emma works for UCCF: The Christian Unions, supporting students as they witness for Jesus at university. She is a passionate Invernesian and spends most of her free time drinking coffee, watching films or trying to find the nearest beach. Deuan Jones is originally from Wales, but he was brought up in England, and then made Scotland his adopted home 16 years ago. He spent most of his working life as a research scientist in molecular biology, before deciding to train as a primary school teacher a couple of years ago. He is part of St Pete’s Free Church in Dundee. 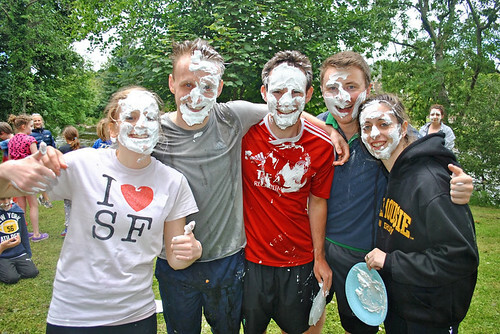 Deuan loves films, camp fires, coffee, and anyone who makes him gluten and dairy free-baking! He thinks that camp should be a great holiday, where every child can find activities they enjoy, and form a trusting bond with at least one leader. 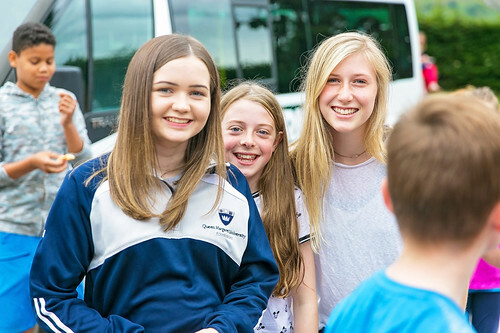 He also believes that camp should be a place where children get to think about God and the Bible for themselves, where leaders learn from each other, and where children who’ve chosen to follow Jesus are encouraged through day-to-day discipleship. Deuan’s favourite thing about camps is chat − round the dinner table, on the windowsill, on the minibus, on the ropes course, and (occasionally) in the middle of the night, when campers won’t go to sleep. Basically, he loves to chat! Paula, or Paula Jane, or just PJ, grew up in the warmer climes of the south coast. After gradually moving north, she now lives in Dundee where she’s a member at St Peter's Free Church. Paula has spent most of her adult life (when not studying) working with children and young people in long-term residential units. Renfrew Juniors will be Paula's seventh camp. Last year, she discovered how easy it is to make campers very messy with messy games (she is now in charge of this activity). Paula believes that camp is a great place for campers to not just hear about God's amazing plan for salvation, but also to see how it affects everything we do. She loves working with kids who aren't so good at sitting or listening, finding ways for them to engage with the Bible and discover its relevance for today. Often she’ll chat with them while doing other things, such as fixing campers’ hair, sharing the washing up, or drinking hot chocolate. Paula likes ducks − just ask her how many she has − and they all have names. Donnie G and Debbie live in Portree on the Isle of Skye. Donnie G is the minister of Portree and Bracadale Free Church and Debbie is a Pupil Support Assistant at Portree High School. They have a family of five: Stuart, Catriona, Fiona, Mairi and Findlay. Both of them have been Christians since they were in school, and although they are pretty old now (combined age of 100), they still think they are still teenagers! Debbie enjoys photography, cooking and playing badminton. Donnie G is very dull in comparison, although he does think of himself as a bit of a crofter. Donnie G and Debbie have been involved in several camps over the years, first as cooks at Whithaugh and Oswestry, and then as leaders at Kincraig and Arbroath. In 2018, Donnie was also involved in leading the Shinty Camp along with Andy Murray. This year they are very excited about leading the new junior camp at Renfrew, along with Duncan and Lydia Murchison. They think camp is a great way to make new friends, and most importantly to get to know Jesus better. 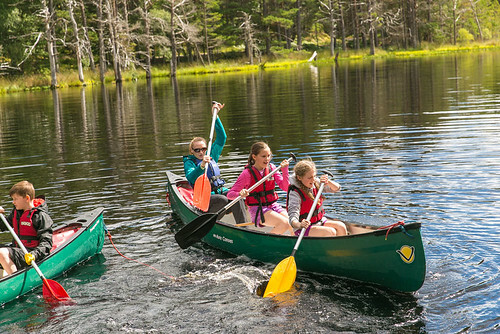 Michael, originally from Alness, and Fiona, a native of Aberdeen, will once again be assisting Innes Macsween in leading the Renfrew Senior camp. Now living in Inverness, Michael spends his working days teaching English at the city’s Millburn Academy, while Fiona looks after the couple’s two children, Ross (6) and Claire (4). 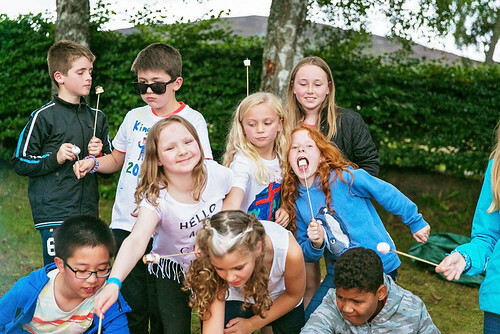 Both Michael and Fiona went to camps as children, as well as attending church with their families; Rosskeen Free Church for Michael and Bon Accord Free Church in Aberdeen for Fiona. While Fiona would never have considered herself not to be a Christian, it took Michael until he was 19 years old to recognise his need of a Saviour, by which time he was a student and attending Fiona’s home congregation of Bon Accord. That’s where they met, were married in 2002 and saw their two children baptised, before heading west along the A96 in the summer of 2014. Michael loves Ross County, Bruce Springsteen, Scrabble and playing the guitar. For Fiona it’s the outdoors, exploring new places and curling up on the couch with a book. Innes Macsween has been the Assistant Minister in Smithton Free Church, Inverness, since 2017. Originally from the Isle of Lewis, Innes studied English in Glasgow, worked for UCCF in Cambridge, and then studied for the ministry at Edinburgh Theological Seminary. Innes enjoys football, Pokemon, music, running, watching any good comedy on TV, and plenty of films! 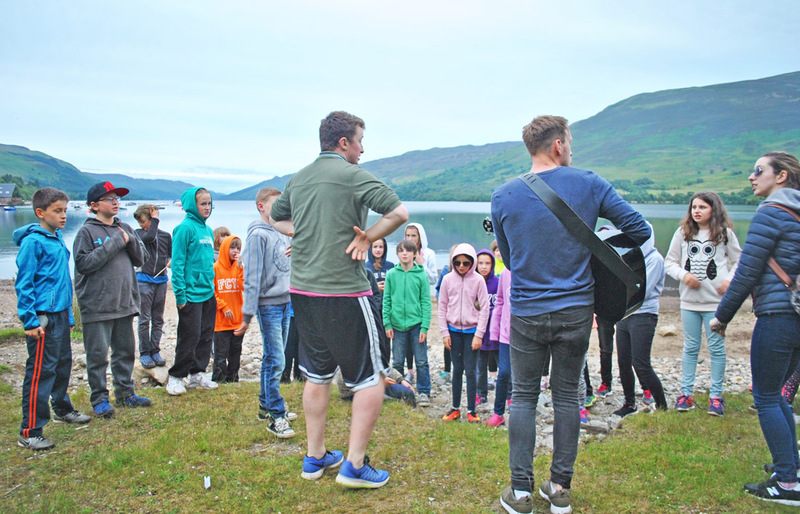 Innes was converted at a Free Church Youth Camp in 2003, and camps have been massively precious to him ever since. 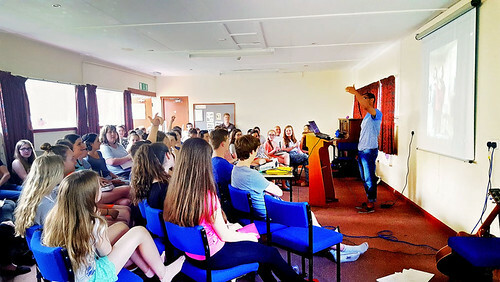 He is desperate to give something back to the Camps for the rest of his life, and he loves teaching the bible and using his loud voice at Camp! 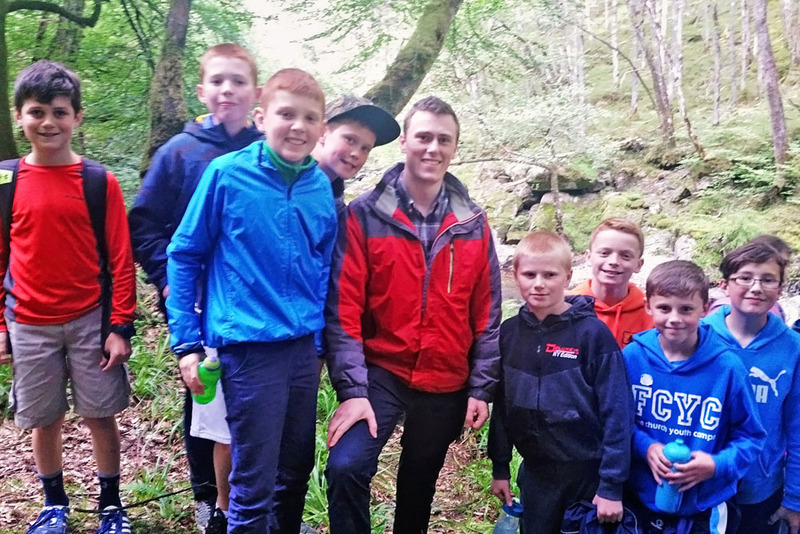 Formerly one of the main leaders at Comrie Kids Camp, Innes has been leading Renfrew Senior along with Michael & Fiona Mackenzie since 2018. Copyright © 2019 Free Church of Scotland. All rights reserved.